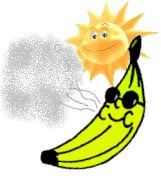 Tale of Two Half Months and the Banana Belt - Hi, friend Climate and Weather Information, in this article entitled Tale of Two Half Months and the Banana Belt, we have prepared this article well and concise to be easy to understand for you to read and can be taken inside information. hopefully the contents of the post that we write this you can understand and useful. okay, happy reading. The weather during the last two weeks has been warmer than normal over much of the region, in contrast to the cold weather of the first half of the month. Take a look at the temperatures for the past four weeks at Seattle-Tacoma Airport (the normal highs and lows are shown too). During the first two weeks the high temperatures only reached normal values (around 45F) for a short two-day period. Then the switch was flipped and temperatures surged above normal, with very few days dropping to the normal lows. The weird thing is that average temperature for the whole month will end up near normal! A good example of how you got to be careful with weather statistics. As shown below, a figure giving the cumulative precipitation of rain at Sea-Tac, precipitation for the month will be near normal, but in reality most of the month was fairly dry and the rain was concentrated in the middle. Now today there was an interesting hot spot on the southern Oregon coast where the area near and just north of Brookings on the Oregon/CA border surged into the 70s! Specifically, Brookings hit 73F, North Bend reached 70F, and another station (FPRO3 north of Brookings) hit 76F. Here is a plot of temperatures, winds, pressure and other parameters at 2 PM. The surface air temperature is in the number in the upper right next to each circle (click to get a big version). Now why so warm? This was a modest example of the Brookings Effect and the reason the southern Oregon coast is often called the Banana Belt of Oregon. Every month of the year has seen temperatures in this coastal zone hit the mid-70s and more. For most of western Oregon the Willamette Valley provides a break between the coastal mountains and the Cascades, but not the southern portion....high terrain (known as the Siskiyous or Klamath Mountains) extend from the coast well inland. Now if you get a situation with easterly flow--like we have today, the air descends rapidly to the Oregon coast. When air descends it is compressed since pressure is higher near the surface that aloft. Compressing air causes it to warm (like in your bike tire pump). Thus, the tongue of coastal warming. So forget Hawaii and head down I5 to the southern Oregon coast. But hurry. The situation is changing soon and rain will return on Friday to much of the area. But the showers will only be temporary--by the end of the weekend our persistent ridge will rebuild and dry, mild conditions will return. La Nina lowland snowstorm? Very unlikely during the next seven days. Thank You and Good article Tale of Two Half Months and the Banana Belt this time, hopefully can benefit for you all. see you in other article postings.